Hey Google, does anyone actually use voice search? Do you use voice search? I’m not talking about voice commands, like: “Hey Google, play Pop Punk Powerhouses on Spotify,” or the office-favourite: “Hey Google, set a timer for three minutes” (for optimum tea brewing), I mean actual queries that rely on your smart speaker pulling results from the internet. 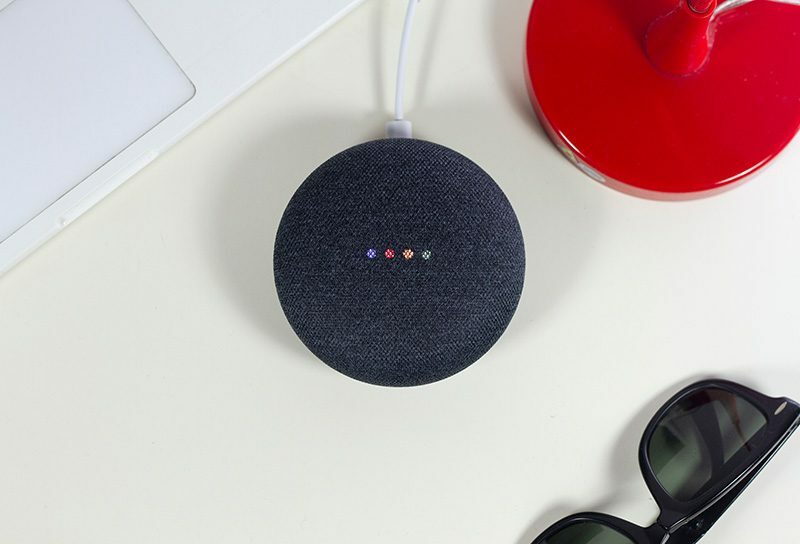 Like many other people, I live in a sort-of smart home, where every room is populated with a Google Home Mini, but their duties rarely extend to more than telling us the daily headlines and playing music. We choose not to utilise their voice searching capabilities most of the time, which practically defeats the object of living in a “smart” home. With as many as 40% of adults using voice search on at least a daily basis, marketing experts believe that this year will be the coming-of-age for the software. With an increasing number of people choosing to adopt voice search for their smart tech, is it really a surprising prospect that our future is spoken? And, more importantly, what impact is voice search going to have on marketing and SEO? Voice search is a form of speech recognition technology that allows users to perform searches via spoken commands. Instead of typing a search query, you can now talk to a device that will do the same task. We are surrounded by speech recognition technology, from the assistants in mobile phones to the hands-free in cars. As a premise, voice search and speech recognition technology isn’t new. In fact, it dates back to the early 1960s, when IBM introduced the IBM Shoebox, the first speech recognition tool that could understand sixteen words and digits. Without IBM leading innovation back then, Google and Amazon wouldn’t have been able to take speech recognition technology to the next level and make our in-house companions capable of voice search. Simply, voice wouldn’t be our future. How will voice search change SEO? Experts are predicting that by 2020, 30% of all website sessions will be conducted without a screen, all thanks to our smart assistants. The smart home revolution presents marketers with a unique opportunity to radically enhance the user experience, while providing customers with the information they want to hear about when they conduct voice searches. With the attitudes surrounding voice search changing, it’s not surprising to learn that search engines like Google are now placing a higher emphasis on voice search optimisation. With the user experience moving away from the computer screen, it’s safe to assume that some sites will suffer if relevant information cannot be found quickly by smart assistants, meaning that they will look elsewhere. If the mass-adoption of voice search is now sounding catastrophic for your website, don’t worry – the shift to voice optimisation isn’t as seismic as it seems. It’s important to remember that SEO and traditional website SEO are different entities, thus meaning that the factors that could potentially affect website rankings may not have the same effect on voice search, and likewise, voice search positions may not affect the rankings of a site. As a marketer, you should be ensuring that the information that you want potential customers and clients to find on their smart assistants is readily available. If Google or Alexa have to trawl through your website for a simple query, it’s likely that they’ll pull irrelevant results, which will turn customers away. When people use their voices to search, the length of queries becomes significantly longer. Their queries are also more likely to be questions, instead of statements, so be ready to prepare for SEO campaigns that revolve around longer keyword search strings. Similarly, like mobile SEO, voice search is more likely to be used to find local products and services. By preparing for an increase in local searches, you’ll be preparing your site for an increased number of niche marketing segments – but can rest easy knowing that they will potentially reach your site first as a result of relevant content queries. Unfortunately, like all revolutionary tech, voice search does have some limitations. The main downside of voice search is the fact that queries are often met with nonsensical voice results. These results are primarily attributed to the fact that search queries aren’t designed to be spoken, and certainly aren’t people-orientated. As a user, you’ve been traditionally expected to browse your search options, but a smart assistant will deliver the first result that appears. In addition to this, smart assistants are not prepared to deliver long paragraphs of text. Not only does this impair the user experience (it is harder for a person to digest information through listening alone), but they are still lacking the capability to scroll through to the relevant information or reread a part that you missed. In certain situations, it is worth thinking about the control you need in your searches. If you’re looking for the weather, fine – but if you’re wondering what there is to do in London, it’s best to get the information from a screen. Despite seeming scary, voice search is a powerful tool that has the potential to shape both the future of marketing and everyday life. Sure, our smart assistants may still have some hurdles to overcome, but that doesn’t mean that they are totally useless. As our futures become more connected and applications become integrated across multiple platforms, it’s important to think about the scenarios in which you will need voice search. Voice will dominate playing music and watching television – but screens will remain key for more in-depth research.